Laurel is a fresh new engagement ring in my shop, and damn if she ain’t a purty one. 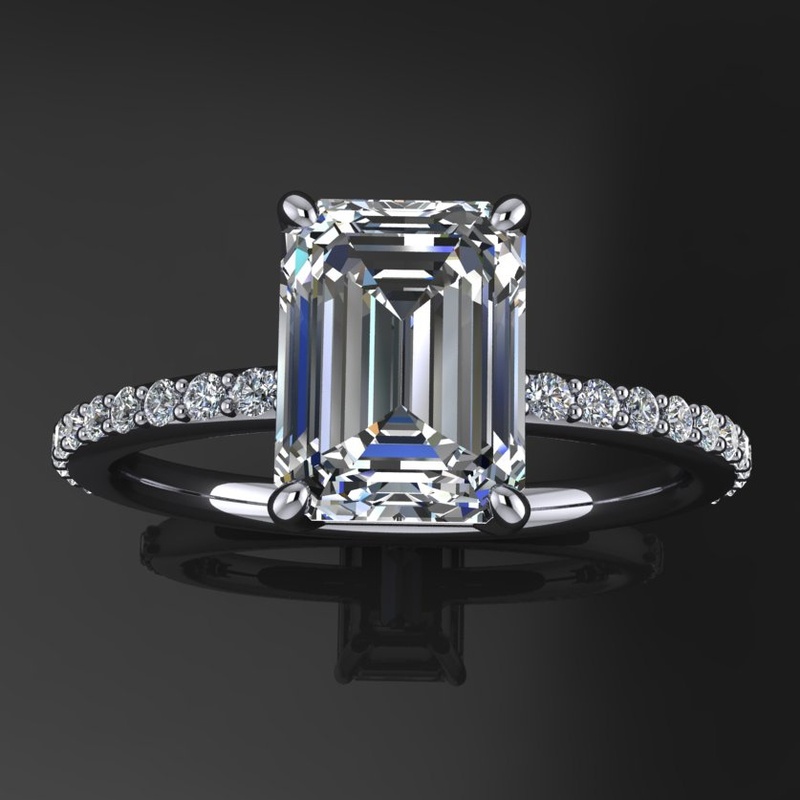 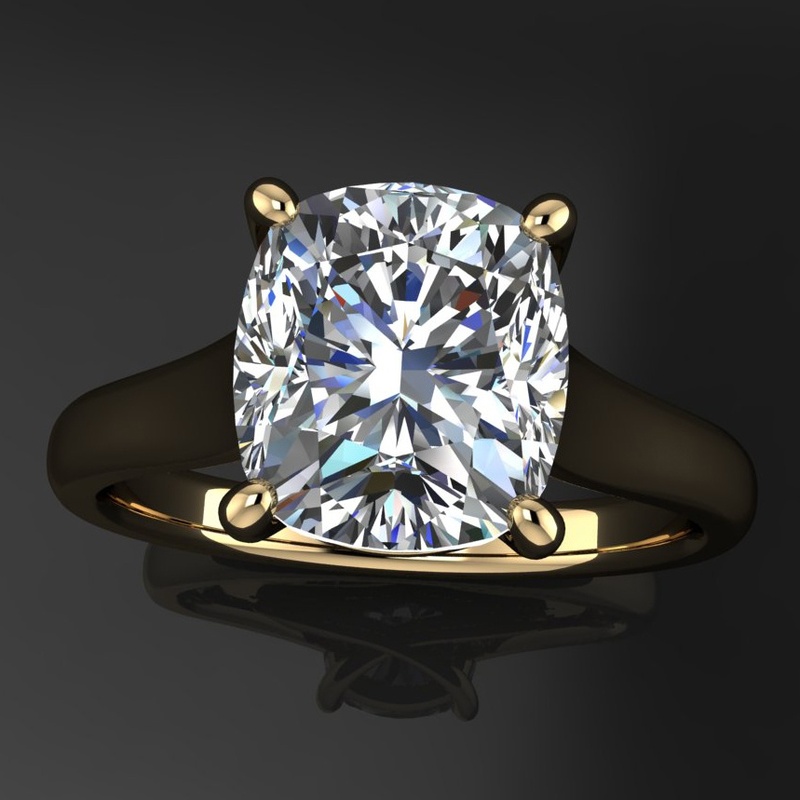 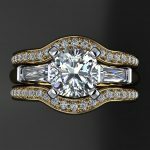 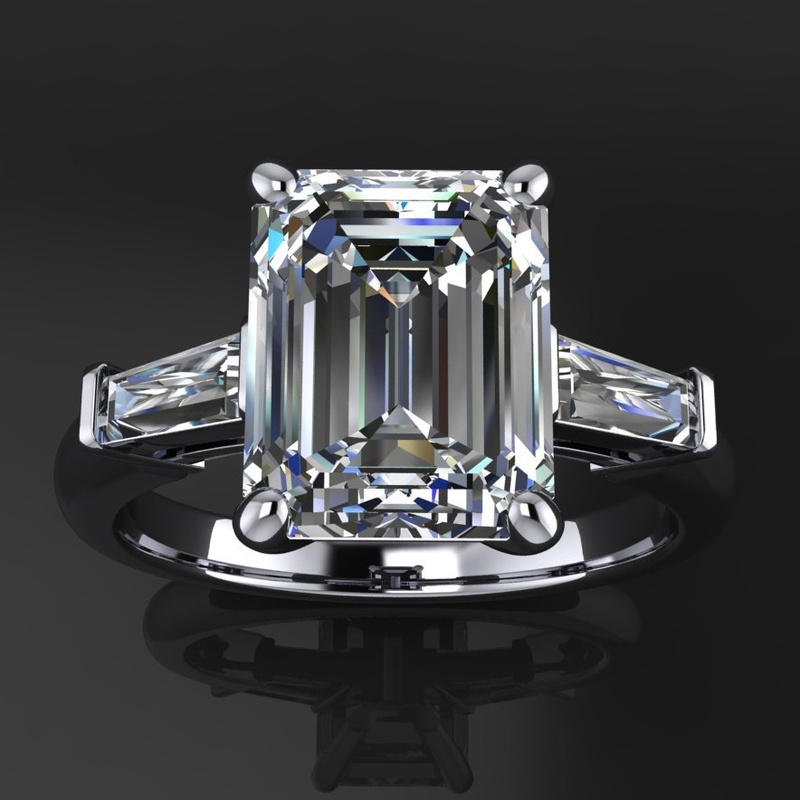 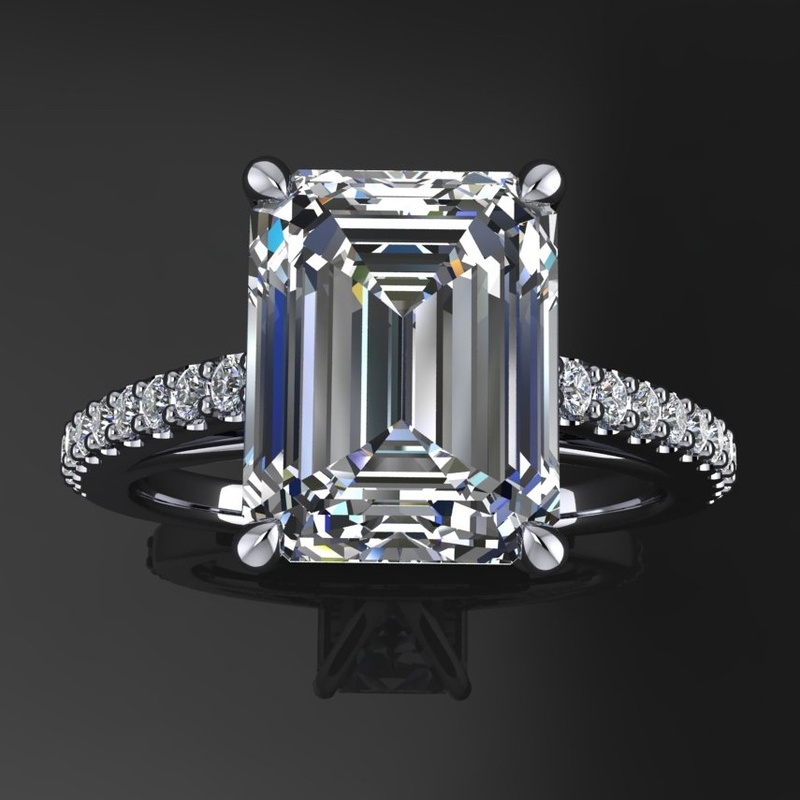 A fiery 1 carat cushion cut Forever One moissanite, flanked by diamond baguettes. 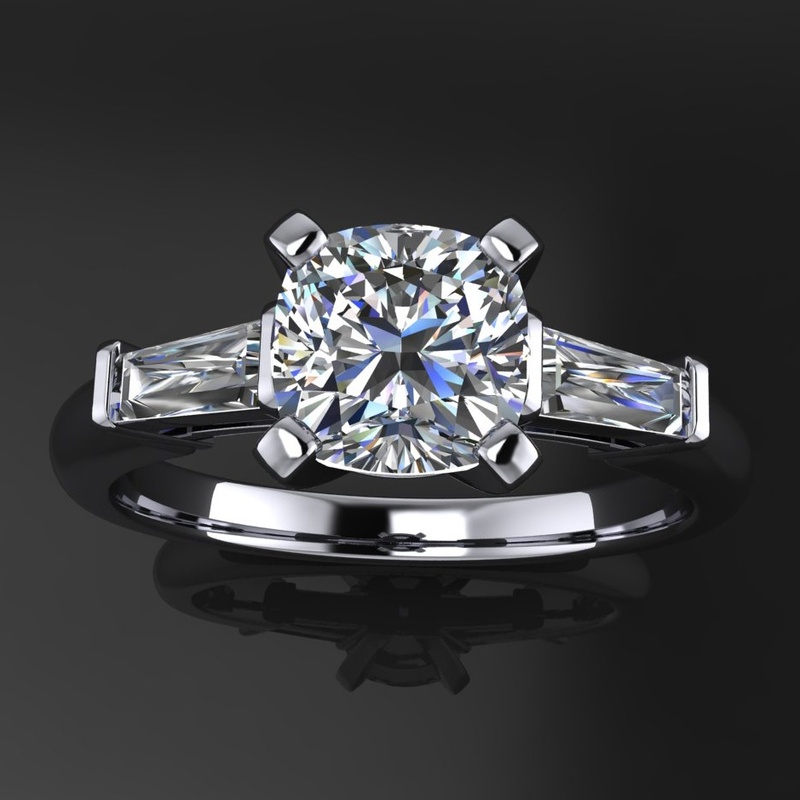 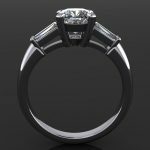 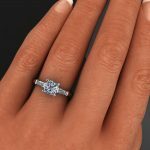 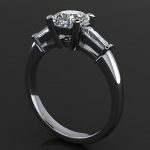 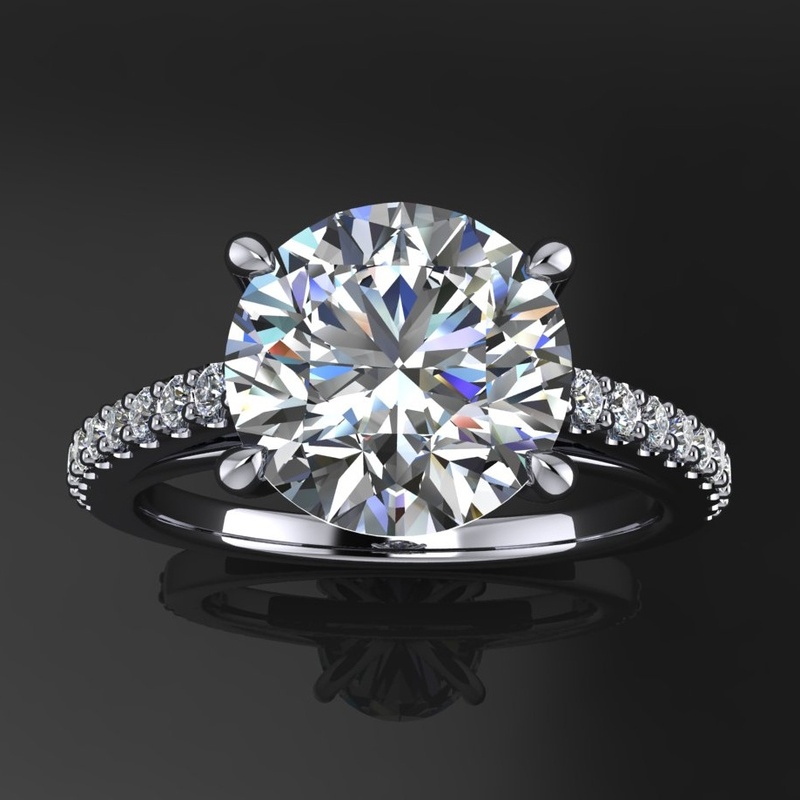 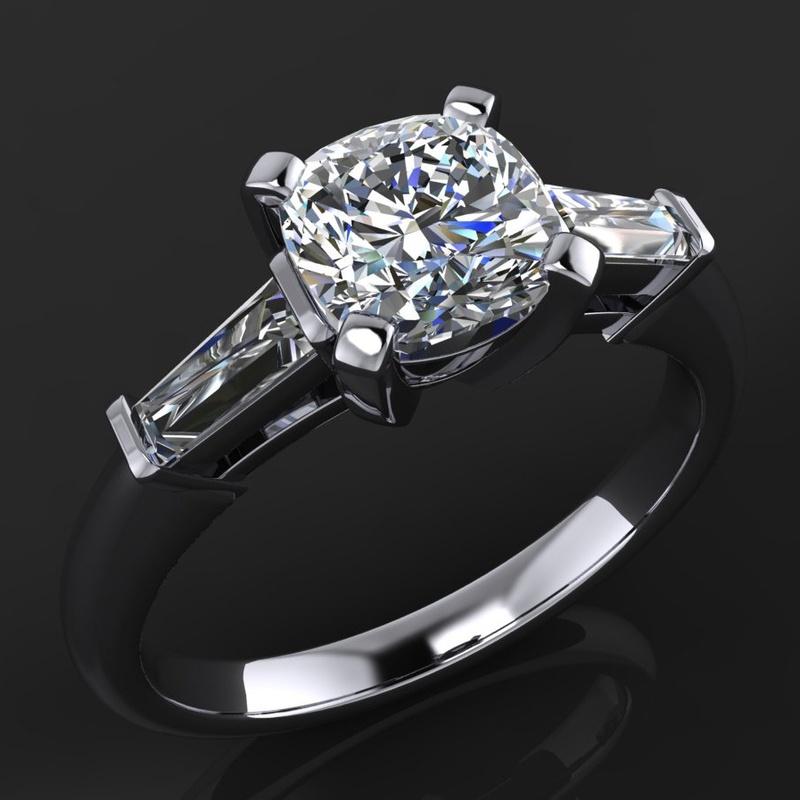 Elegant and classic, with a modern twist – that gorgeous moissanite. 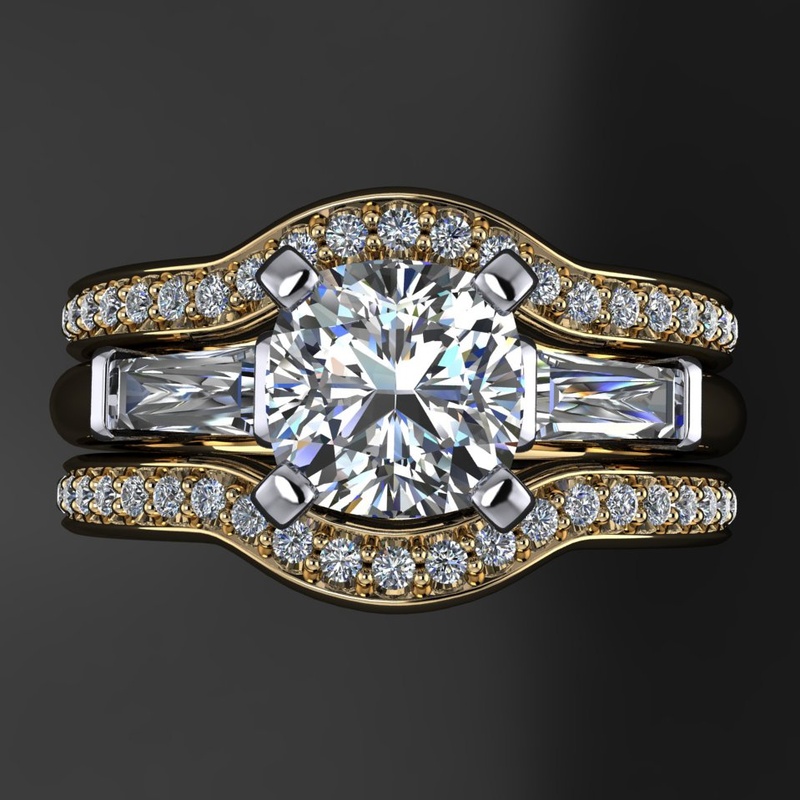 Available in 14k white, yellow or rose gold. 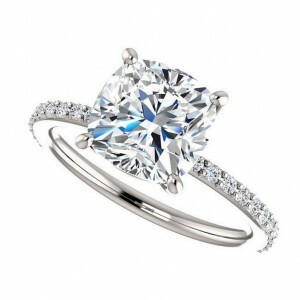 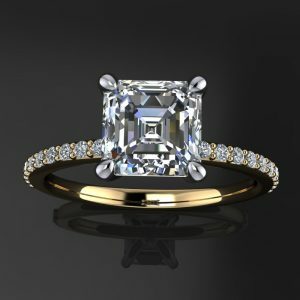 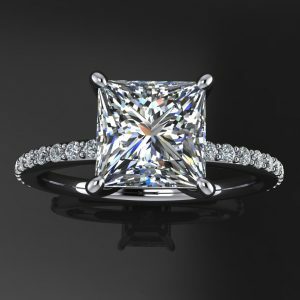 1 6mm cushion cut Forever One Moissanite by Charles & Colvard. E-F color, VS1 clarity. 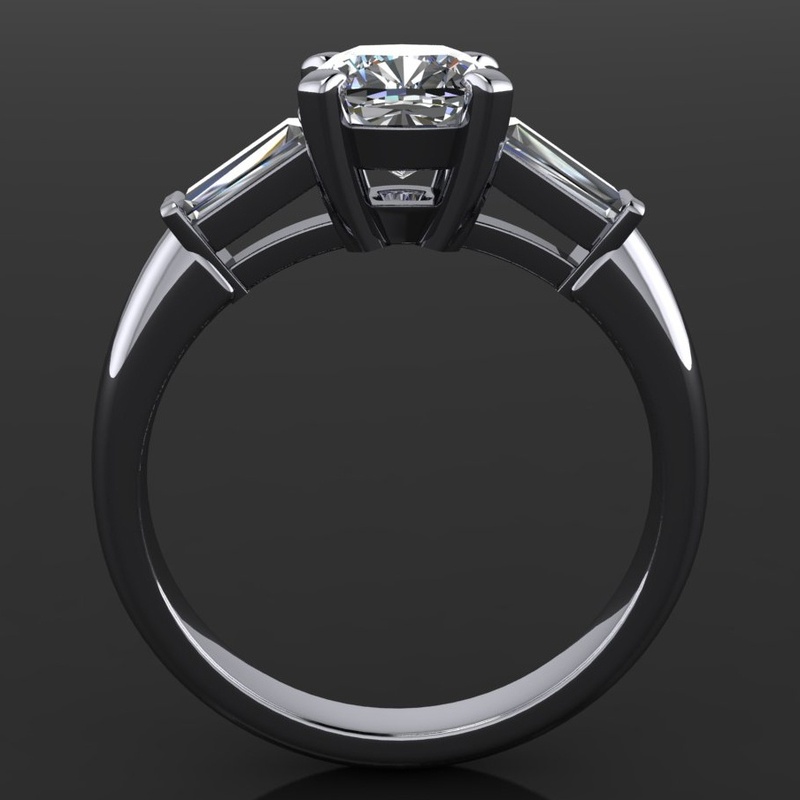 Includes gem certification and warranty.